Alibaba will continue to take the top spot of retail e-commerce sales with 58.2% share of the market in China, but facing increasing competition, according to the latest report by eMarketer. eMarketer has released its forecast ranking of the top 10 ecommerce retailers in China, which highlighted that Alibaba will continue to dominate the e-commerce market, followed by JD.com with 16.3% share. Over the past few years, the dynamic marketplace in China has welcomed some new players that are offering branded products, which are popular among consumers. The report reveals that the two giants are facing soaring competition from smaller, more specialist players which can offer “authentic” goods. 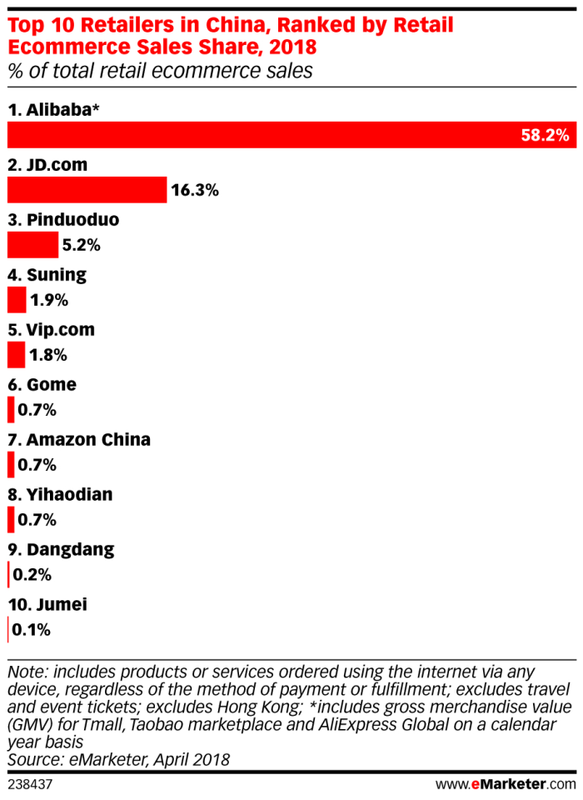 Pinduoduo, or PDD, a Groupon-style retailer that mixes in social buying, will secure the third place behind Alibaba and JD.com this year with a 5.2% share. Started by a former Google engineer in 2015, PDD allows consumers to buy direct from wholesalers and factories at competitive prices. A key factor in PDD’s success to date is that it has targeted Tier 3 and Tier 4 cites in China, thus attracting new price-conscious e-commerce customers. She added, “Smaller e-commerce players such as relative newcomer Pinduoduo have benefited from this trend as buyers in lower-tier cities have been less tolerant of the higher prices found on large players such as Alibaba and JD.com, but they are quick to seize upon the relative deals found on Pinduoduo’s platform,”she said. 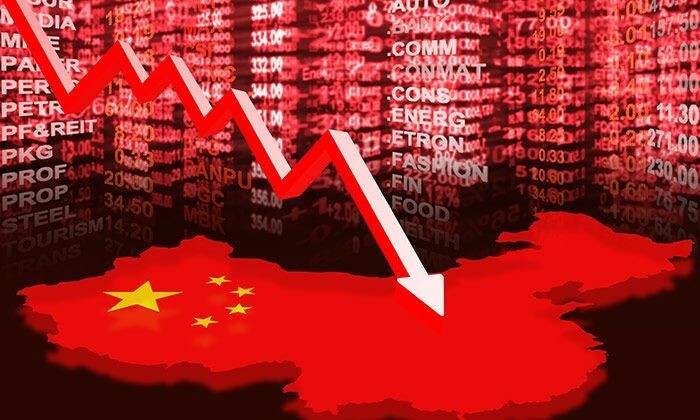 There are other competitors such as electronics retailer Suning and online discount fashion retailer Vipshop, which will account for nearly 2% and 1.8% of retail e-commerce sales respectively, report stated. Suning has been exploring multichannel integration over the past few years. This approach has proved profitable so far, while Vipshop benefits from the flash sales and partnership with Tencent and JD.com. The campaign has been developed for NSW Government and focuses on alcohol-fueled violence and targets potential aggressors. More h..
Is Myanmar a good match for Singapore brands? Industry players discuss Myanmar’s increasing appeal and how Singapore brands are strategically placed to succeed in ASEAN’s newes..
APAC consumers remain less responsive to mobile ads compared to the rest of the world. ..
Volkswagen Hong Kong is offering test-drive sessions as experiential marketing in an attempt to create a shift in Hong Kong's car-..